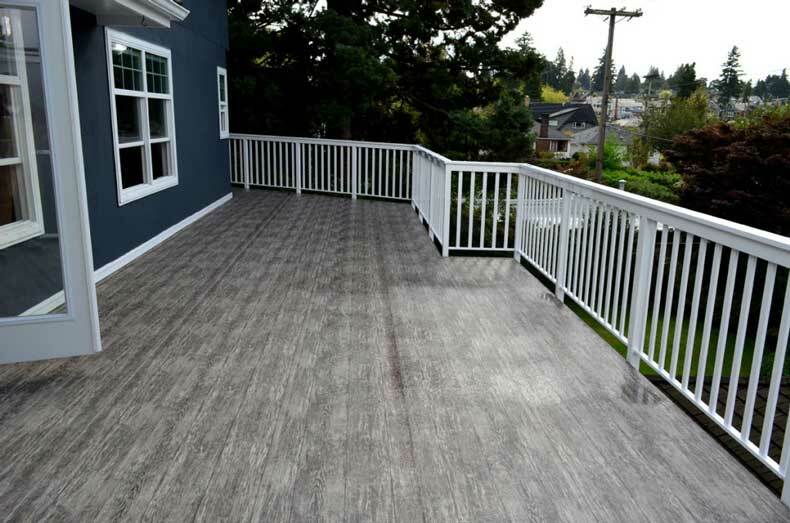 Vinyl is quickly becoming one of the most popular options on the market when it comes to outdoor decking areas in Canada. You may have never considered it before but, believe us, once you hear some of the reasons for its popularity, you’ll be wondering how you ever survived so long without it. In this article, we will be looking at five reasons why you should consider vinyl decking. The vinyl layer used for decking is effortless to install. If your current decking is in excellent condition, you could have it installed in a matter of days. This will mean you won’t need to give contractors a week’s worth of access to your house. Leaving you to enjoy your new decking in no time at all. Extreme weather conditions here in Calgary can lead to your decking needing extra maintenance. Ultimately, this will result in spending lots of time and money working on your decking. Applying a layer of vinyl membrane gives you an additional layer of protection from the elements and could save you money in the long run. Deck maintenance can be a real drag. Sanding and coating your decking every year is as backbreaking as it is expensive. With vinyl decking, you can eliminate the need for yearly maintenance. All you need to do is sweep up and rinse with water a few times per year. All of our vinyl deckings are incredibly durable and capable of taking everything modern life can throw at it. Regular decking can look a little bit run of the mill and, for the lack of a better word, boring at times. This is because you are pretty limited when it comes to options. Vinyl decking, on the other hand, comes in a range of different styles. You can choose your custom pattern or colour and make your home stand out from the crowd. If you choose to have your deck covered in a vinyl membrane, you will automatically add value to your home. First of all, you could breathe a new lease of life into your old decking, which will instantly make your house look better. Plus, you’ll be making your deck completely waterproof, which can only add value to your property. For a relatively small investment, you could add some real value to your home.